The research and development of mobile communications have always focused on reducing the size of the devices at the same time increasing their capabilities. Unfortunately, this sometimes affects the handling convenience. Writing a message or an e-mail using the numeric keyboard is the most difficult part of it. We all know that no matter how much we are used to it, it is quite a slow process. 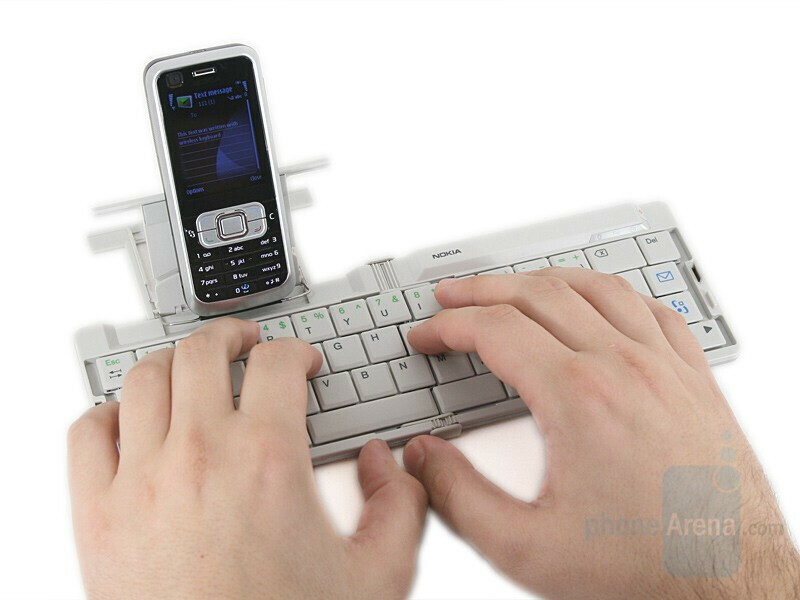 A number of companies have solved the problem to a certain extent by putting standard (QWERTY) keyboards on their devices. Unfortunately, they are standard in terms of layout only, remaining as small as ever in terms of size. 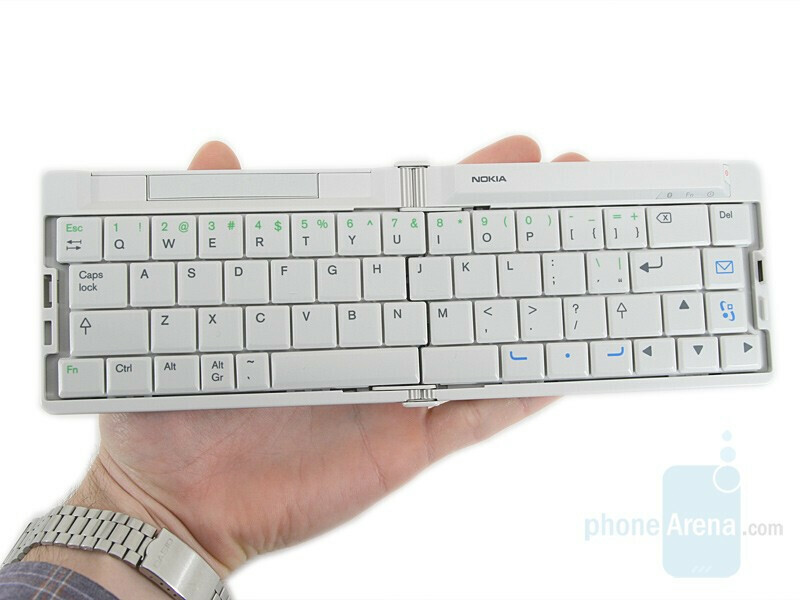 One of the leading manufacturers in the Nokia sector has presented his solution to this peculiar ‘difficulty’ - Nokia Wireless Keyboard SU-8W. 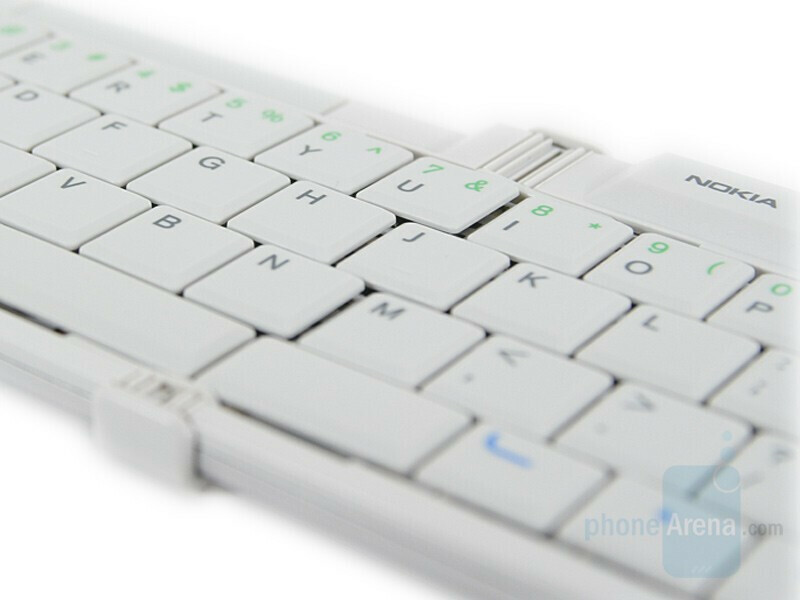 This is a wireless keyboard connected to the device by means of Bluetooth technology. 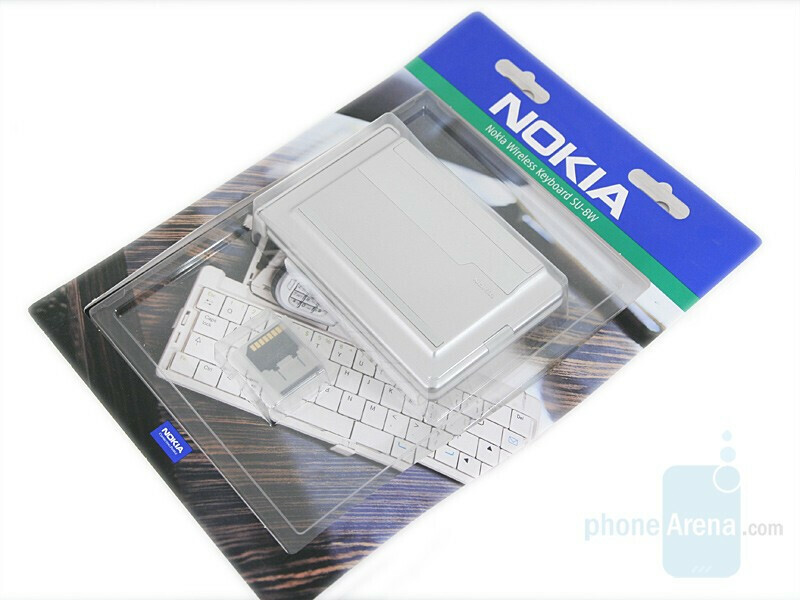 To emphasize its compact size, the keyboard comes packed in a transparent blister so that you can see it in folded position. 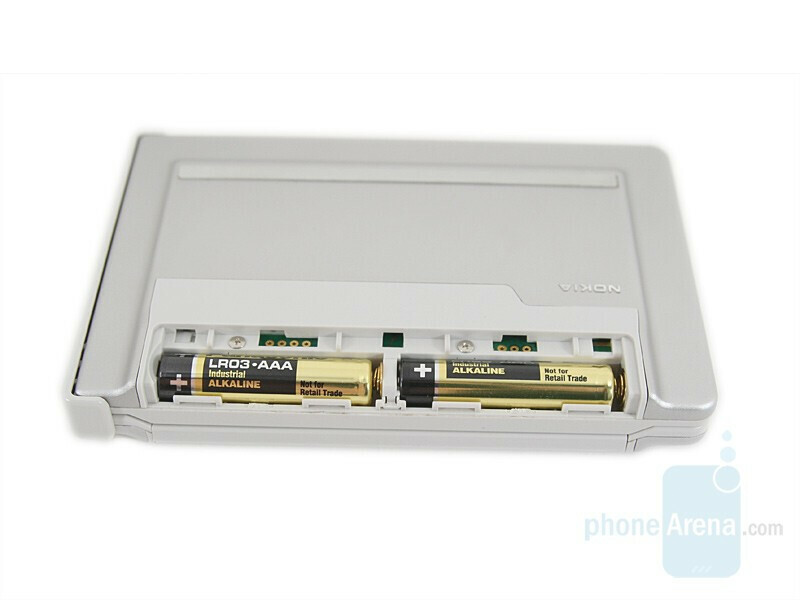 In addition you have a user guide, 2 AAA batteries and a 32MB RS-MMC card with the software loaded on it. 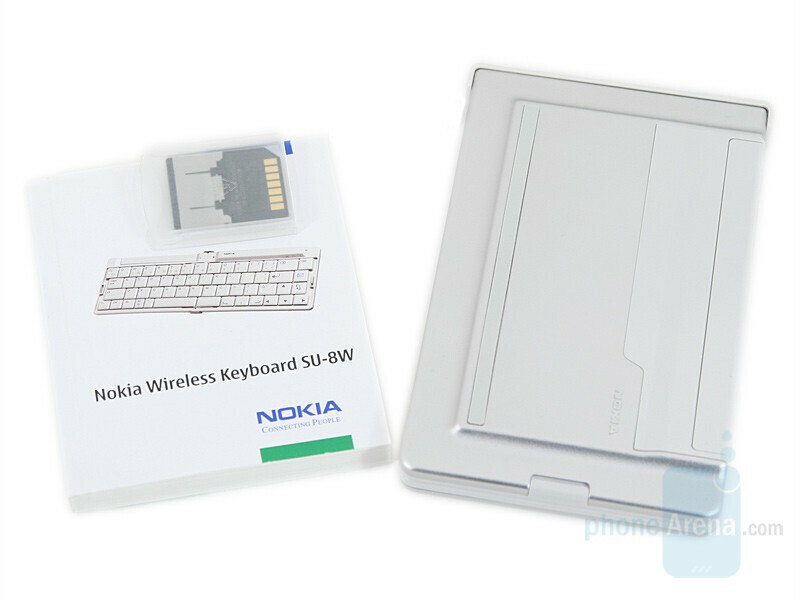 Nokia Wireless Keyboard SU-8W has been manufactured in a combination of white and silver where the white sections are made of plastic while the silver surfaces are metal, probably aluminum. Like the standard keyboards we notice here that the designers have taken care not only for the appearance but for the convenience, too. To prevent slipping during use, it has two rubber bands on the lower part of the same color as the plastic parts perfectly fitting in the overall design of the device. Still, to be compact and easy to carry, the keyboard folds in the middle thus reducing its size to just 132 x 87 x 19 mm from 262 x 87 x 13 mm in unfolded position, and with a weight of 192 g carrying will not be a problem. By pressing the release button, SU-8W can now be opened and put in a convenient place for use. The restriction here is that the keyboard must be put on a hard and even surface, otherwise it will fold. 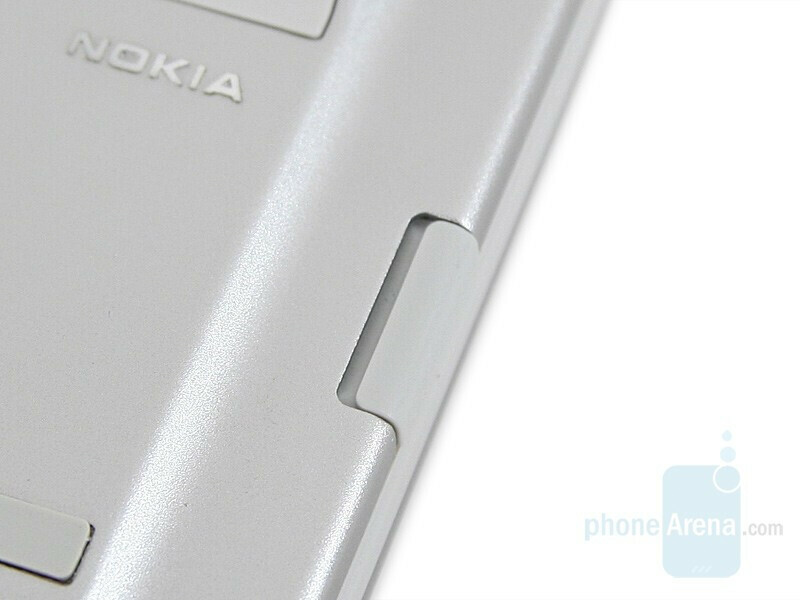 A kind of locking device to keep the two parts open regardless of the surface would be a good solution, but Nokia have not provided for it. The buttons are made of the same white plastic as the external parts. The symbols thereon are gray, light green and blue and are not engraved into the buttons but are glued. Let’s hope they endure in time and not get worn out after long writing. The buttons are 15 x 15 mm which is large enough size to allow faster writing. The keyboard is not lit but this is an acceptable compromise. Only the indicators of Bluetooth (blue), Fn (green) and the on/off button – green/red depending on whether you switch the device on or off, are lit. 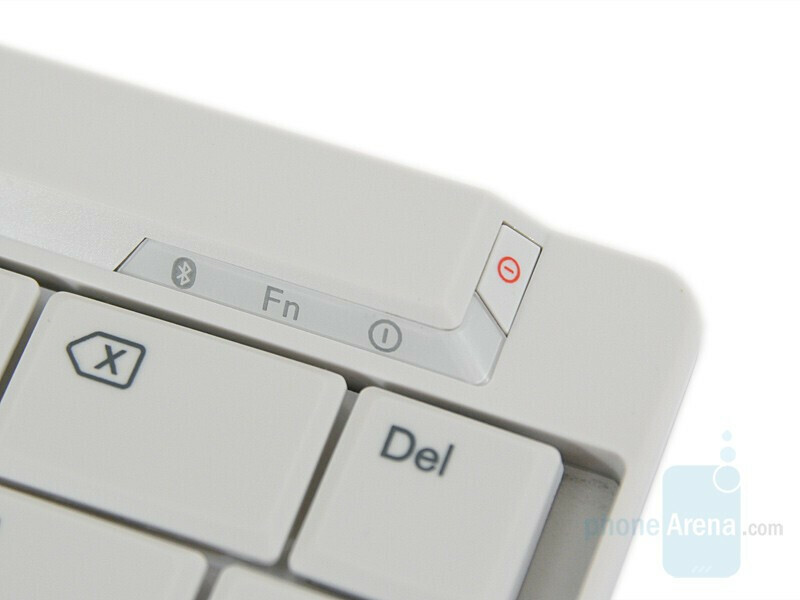 To make the keyboard folding, the designers have had to divide the space bar into two separate buttons. 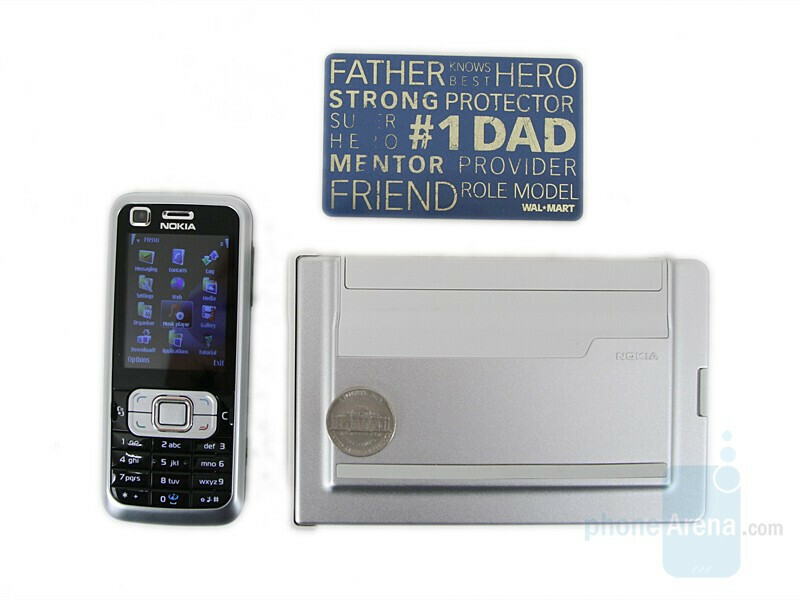 The keyboard is designed to be used by Nokia devices operating by S60 user interface. Therefore we notice some differences from the standard PC keyboards. Three selection keys with the same functionality as with the phones, a menu key and messaging key have been added. Apart from writing on the phone you can also use SU-8W to put it in a convenient position on the retractable cradle. It is on the deeper dented upper side of the keyboard and to put the phone on it you just need to pull it out. 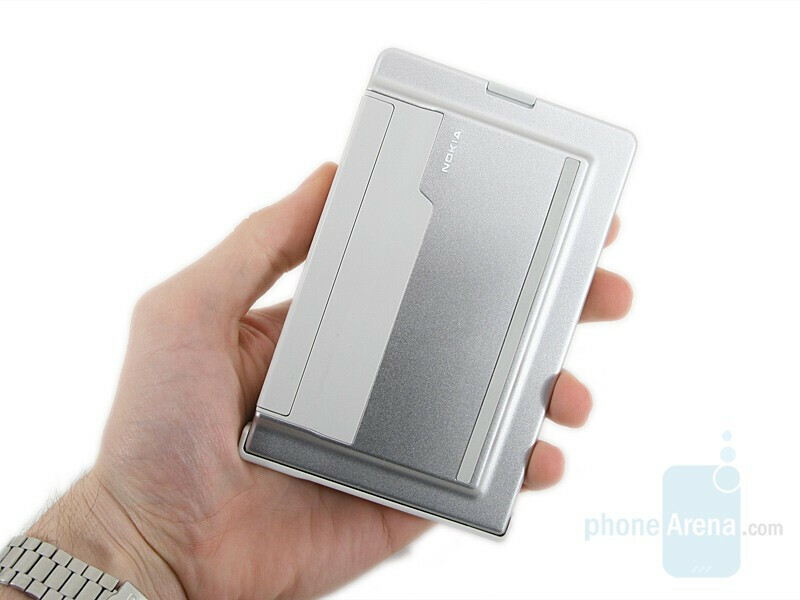 You can also take it out of the keyboard so that the device is at a convenient distance from you. You can even set the phone at 5 various tilt positions to choose the most appropriate and convenient one for you. The lower part of the phone is placed on a metal clamp partially rubber-lined against sliding. This fastening mode guarantees that the phone will not fall down if you push the keyboard unintentionally. I have had this keyboard for 1 month now, and while I believe that it is well constructed, I find it somewhat unpleasant to use. The key spacing is just slightly to narrow to touch type comfortably. 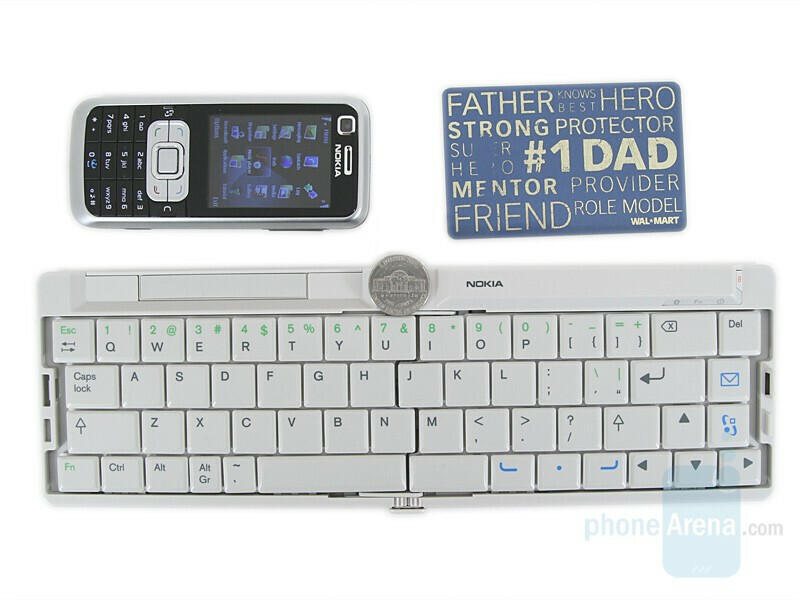 I wish Nokia had made the keyboard slightly larger, then I would have no serious complaint. 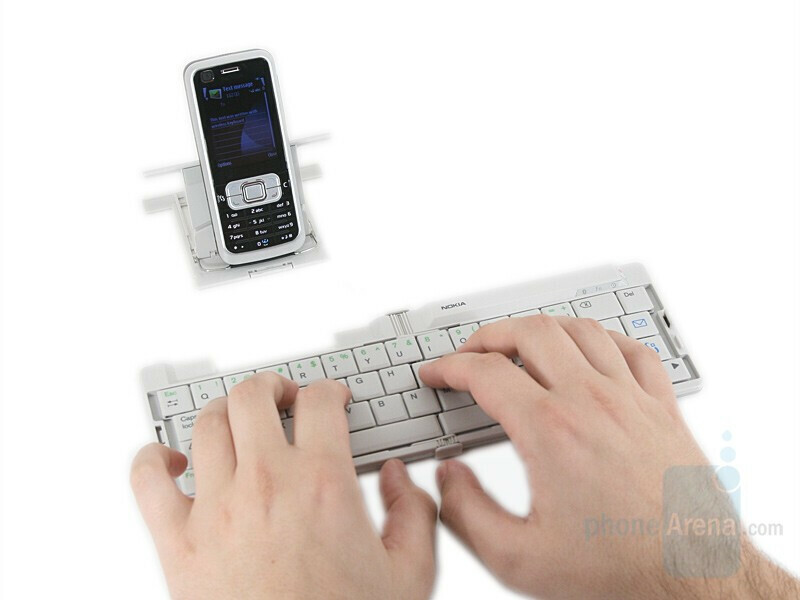 Also, with the phone holder attached to the keyboard, there is insufficient room to type on the top left row of keys without risking the N95. I just bought an iGO Stowaway ultra-slim keyboard, which avoids the difficulties that I just mentioned. The phone cradle can be popped out easily without damaging it. Just slide the cradle a little bit faster when you open it. Now you can put it away from the keyboard, to have room for typing. I tried to connect my SU-8W to a Macintosh and it is working good. The left and right selection keys are recognized as Tab and the middle key, the menu key and the mail key are inactive.